The North Face Mossbud Swirl Triclimate™ Ski Jacket is sure to find a home in your suitcase and on your back. A super-versatile three-in-one jacket built for year-round adventure, The North Face Mossbud Swirl Ski Jacket matches a removable Heatseeker™ insulator with a DryVent™ 2L shell. Crank up the weather radio or look out the window and you can decide if you need to wear the two together, wear just the shell, or wear just the insulator jacket. 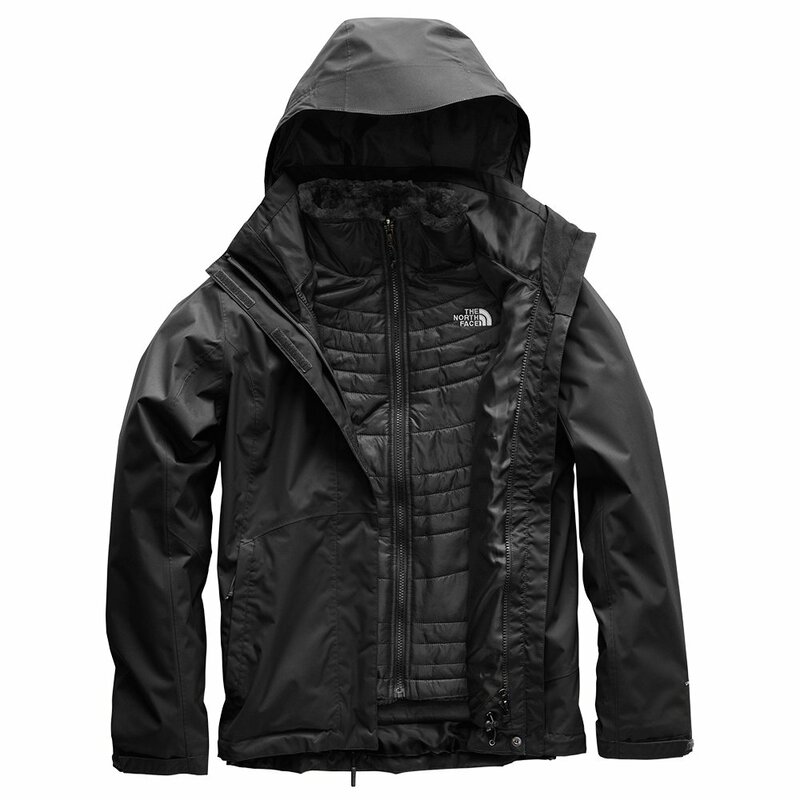 The outer jacket comes loaded with all kinds of features, including a removable hood, adjustable cuffs, and a hem cinch. Snow, wind, rain, sun, or all of the above - The North Face Mossbud Swirl Triclimate™ Ski Jacket is the right tool for the job.